Bathrooms are one part of the house that often don’t get the styling they deserve. And that’s a shame, seeing as with a nice hot bath you can cure almost any problem your day throws at you. 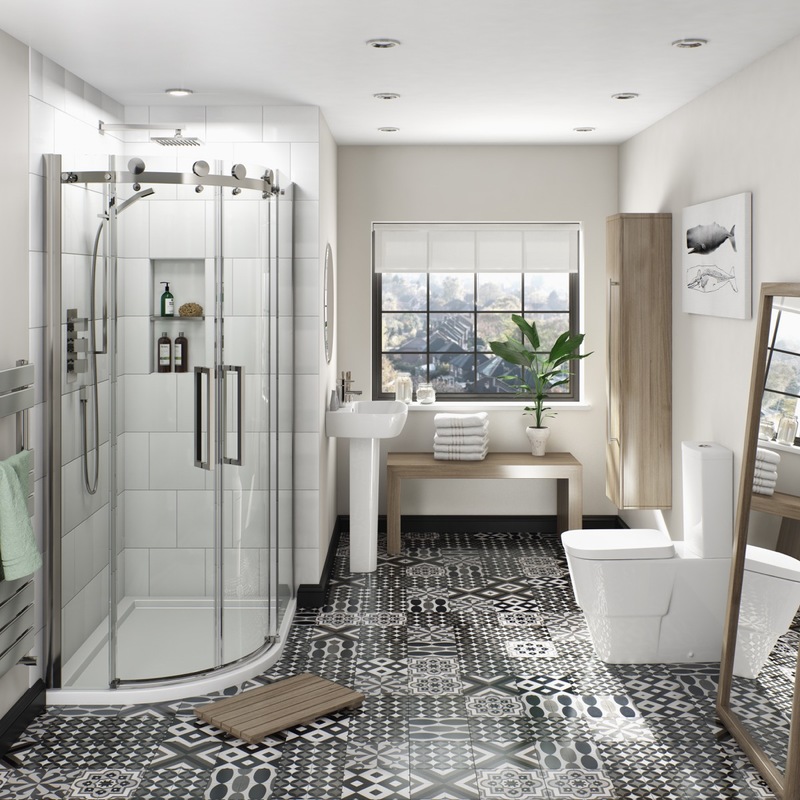 The truth is that it doesn’t cost as much as you may think to give your bathroom a contemporary feel and create a deeply relaxing space. Here are a few tips on just how to do that. A fresh coat of paint can do wonders for any room in the house. Bathrooms are usually quite small in size, meaning that they can often be painted in a day. A fresh coat in a neutral, relaxing colour such as ivory, magnolia or even a warm pastel orange will see you on the way to your new space. Use waterproof paint to make sure you get the longest life out of your walls. Harsh overhead lighting can really kill the mood in any room. Try swapping your standard bathroom light for a set of recess lights. These can be installed into any ceiling or wall and will help soften the room. They will also come with a dimmer switch (which must be situated outside of your bathroom) so you can adjust the lighting to your mood, from soft and focused to full and bright. If there are some pieces of furniture or ornaments in your bathroom that simply don’t need to be there, just remove them. A lot of the time their removal will not drastically affect storage space. It will also give the illusion that your bathroom is a lot bigger as well as creating new physical space. If you’ve got a worn, dated basin in the bathroom that looks like an eyesore, then why don’t you change it? Contrary to popular belief basins can be very reasonable in price. Changing yours to something like a round bowl or even a pedestal basin will also help create more space, as well as complimenting the new aesthetic of the room. Freestanding baths are the ultimate in contemporary luxury. The addition of one into your bathroom is sure to be the icing on the cake and many can be bought for under £300. Follow these few steps and you won’t recognise your old bathroom! 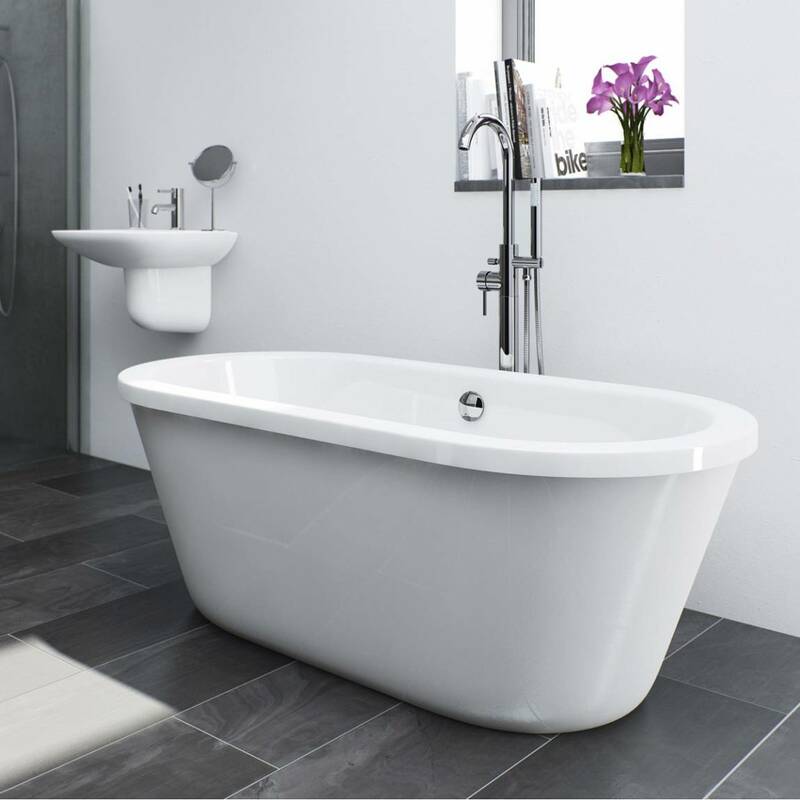 Yale Freestanding Bath The beautiful Yale Freestanding Bath is easy to fit in at just over 1.5 metres in length.